For your convenience to contact Allahabad Bank We have provided all possible information of Allahabad Bank. You can contact Allahabad Bank on the given phone number +91-33-2231-8824, 22420850, 22420851, 40259719, 22420901. To know the address location of Allahabad Bank it is also presented here No-2, Netaji Subhas Road, Kolkata, West Bengal, India. Contact them by sending email to Allahabad Bank you will find an email address here ho.cgrc@allahabadbank.in, customercare.kolkata_metro_zo@allahabadbank.in. To know more about Allahabad Bank, go to their website www.allahabadbank.in and collect all possible information from there. You can contact them from their website also. If you have any comment to post or you want to register a complaint against Allahabad Bank, you are advised to go to the below box and post your view there. +91-33-2231-8824, 22420850, 22420851, 40259719, 22420901. Allahabad Bank is one of the India's largest and oldest banks that provide a broad range of banking and financial services in individual and corporate sectors. 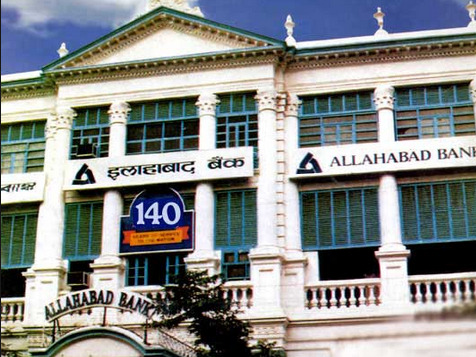 Allahabad Bank was started on April 24, 1865 in Allahabad. In the 1920's, it was emerged as a part of P & O Banking Corporation's Group. But later in the year of 1923, The Allahabad Bank was established in Calcutta with its headquarters. Allahabad Bank's corporate head office is still located there. The bank offers several banking options such as personal banking, social banking, MSME banking, corporate banking and international banking. 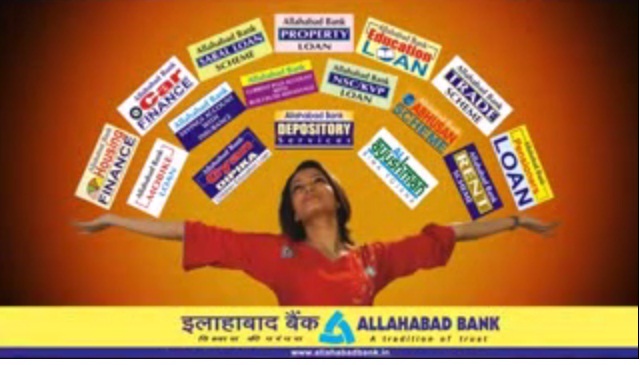 Apart from this, Allahabad Bank also provides a wide range of finance scheme and retail credit products including Housing & furnishing loan, car loan, commercial vehicle loan, trade loan, property loan, rent loan, home appliances finance scheme, education loan, saral loan, gyan dipika scheme, Mobile loan, personal loan, gold loan and many other. Through personal banking, Allahabad bank allows individuals to open account where he or she is offered facility of debit card, credit card, online banking, saving account and checking account. Allahabad Bank gives numerous banking solutions such as agriculture banking, banking of small enterprises under its social banking segment. 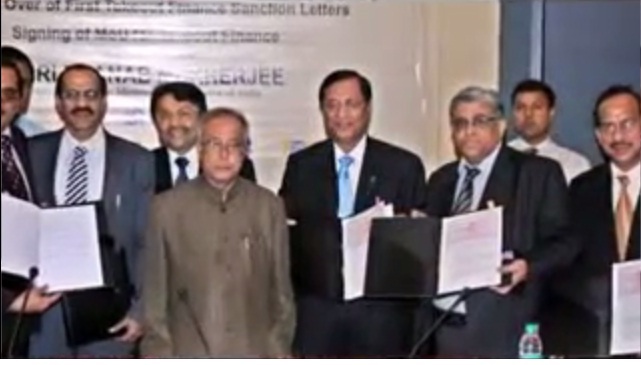 Indians living outside the country are given banking facility through the NRI banking facility of Allahabad bank through which they are given numerous facility of International banking. 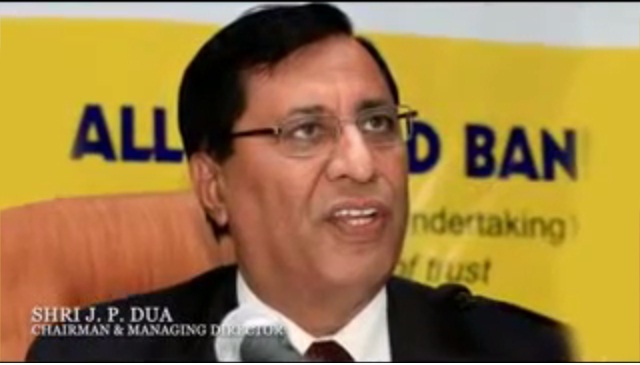 Allahabad Bank has strong presence in India with more than 2500 branches. The bank also provides ATMs service facilities in nearly 115 cities of the India. Allahabad Bank is an Indian based banking and financial services company. It is one of the nation's largest banks that provide entire spectrum of financial services such as social banking, MSME banking, personal banking, retail banking, corporate banking, international banking and many other services. 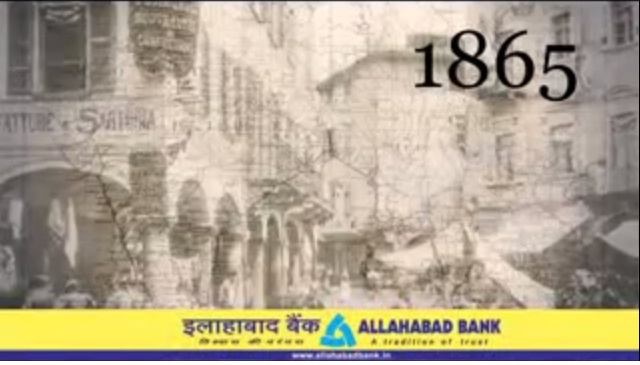 The history of Allahabad Bank was begun in the year of 1865. It is the oldest bank in the country. The bank's corporate head office is built up in Kolkata, West Bengal, India. It has also a branch office in Hong Kong and a representative division in Shenzen. Today, Allahabad Bank provides nearly 691 ATM facilities in more than 110 Indian cities and towns. Apart from this, it also operates a wide network of 2,500 branch offices in the nation. Its broad range of banking and financial services include deposit schemes for children, tax benefit term deposit schemes, current accounts, savings bank deposits, fixed deposits, education loans, gold loans, personal vehicle finance, settlement services for deceased depositors, debit cards, ATM cards, insurance products, trade schemes, housing loans, national electronic fund transfer, cash management services, inward money transfer services and many more. The customer care number of Allahabad Bank can be contacted from Meerut, Ranchi, Pondicherry, Madhya Pradesh, Chennai, Jaipur, Gujarat, Jammu, Hyderabad, Maharashtra, Ludhiana, Ernakulam, Mangalore, Varanasi, Jamshedpur, Gurgaon, Gorakhpur, Cochin, Uttar Pradesh, Indore, Ghaziabad, Vijayawada, Patiala, Bihar, Andhra Pradesh, Mumbai, Erode, Bhopal, Aurangabad, Allahabad, Bangalore, Noida, Chhattisgarh, Karnataka, Goa, Udaipur, Sangli, Kanpur, Himachal Pradesh, Jalandhar, Orissa, Salem, Nasik, Navi Mumbai, Rajkot, Madurai, Visakhapatnam, Surat, West Bengal, Punjab, South Delhi, New Delhi, Coimbatore, Uttarakhand, Tamil Nadu, Ahmedabad, Amritsar, Gwalior, Delhi, Jharkhand, Agra, Faridabad, Nagpur, Raipur, Goregaon, Rajasthan, Pune, Assam, East Delhi, West Delhi, Dehradun, Mysore, Trichy, Trivandrum, Kolkata, Vellore, Bhubaneswar, Thane, Vadodara, Kerala, Chandigarh, Lucknow, North Delhi, Patna, Shillong, Baroda India, etc. Allahabad Bank also delivers its banking services online to the user's end which include transaction, fund transferring, balance status and bill payment. The online banking is meant for both personal and corporate customers of the Allahabad Bank. To avail of it online banking facility visit, www.allbankonline.in. Allahabad Bank lets its customers to bank through their mobile phones. The customer can download Allahadbad Bank Mobile Apps for Windows, Android and iPhone platforms from respective website. The mobile banking service of the bank allows the customer to transfer money from One Account to other; Check Balance Enquiry, Branch Locator, and enquiry. Allahabad Bank operates branch throughout India. To locate the its nearest branch, please visit this link, www.allahabadbank.in/english/branch_locator.aspx. : 022-27836061 27836062 27836063 27836064 27836065 In this changing time, Allahadbad Bank gives you Benefits of various modern services and internet banking is one of them which allows users to access all the facility of banking services by the medium of internet. You just to need to create an one time account. For any inconvenience or other banking your directly write to customer care department of Allahabad bank at above email id. For seeking assistance for its online banking and e payment services, visit link: www.allbankonline.in/jsp/customercare.html. Being one of the oldest government run banks in India, Allahabad has numerous branches across the country that are bing operated from thehead office of Allahabad bank. 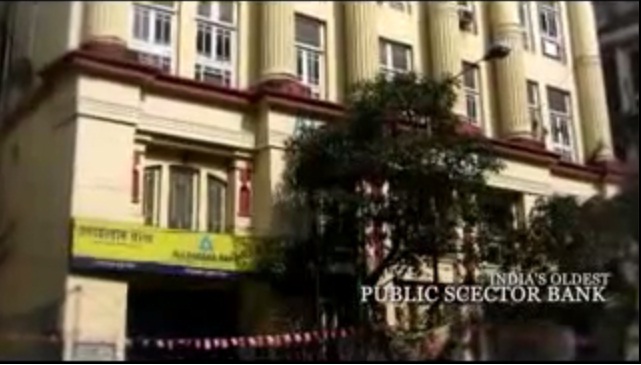 The complete address of Allahabad bank is No-2, Netaji Subhas Road, Kolkata, West Bengal, India. Search in google Allahabad Bank with the name Google Plus, Facebook, Twitter, linkidin Pages and you will find more information on these pages. Search in google like Allahabad Bank Google Plus Page. When you call to Allahabad Bank, ask for toll free number to enjoy charge free calling. At the first step When you call to Allahabad Bank please do not forget to tell them that you have found their contact number on findbusinessaddress.com.